pizza hut doesn't seem to be very particular about hygiene. this pic was sometime in january, at the juhu-tara road outlet. 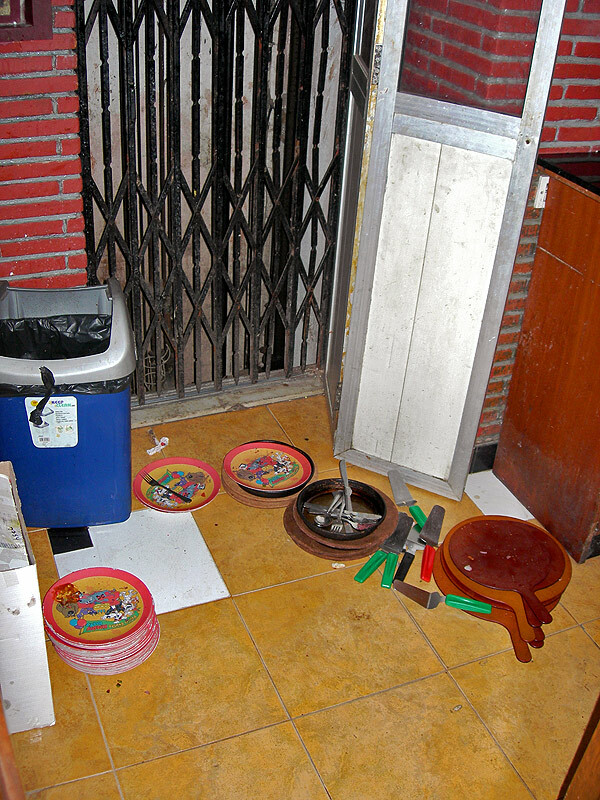 used plates stacked up on the floor, along with pizza pans, right outside the elevator, bang next to the dustbin. today at the lokhandwala outlet, the ketchup bottles had traces of ketchup all over the caps, and the oregano and chilli-flakes containers were greasy. can't they wipe all these clean before a new group of diners seat themselves?